Tabernacle: The Salt Lake Tabernacle on Temple Square is the home of the Mormon Tabernacle Choir in Utah. It was used for semi-annual General Conferences prior to the building of the Conference Center. In Utah and other western locations, there are some buildings called tabernacles that were built for large conferences in these areas. They are no longer built, and conferences are held in stake centers or rented buildings, or are broadcast into smaller buildings. Talks: Because the Mormons have a lay church, sermons are not given by the bishop (similar to a lay pastor.) Each Sunday, several teenage and adult members of the congregation are invited to speak for five to fifteen minutes on a gospel topic. These are referred to as talks. Young children, beginning at age three, give two and a half minute talks in the children’s Primary auxiliary. Tattooing: The Church urges that we respect our bodies as tabernacles for the Holy Ghost, and that we avoid tattoos and multiple piercings. However, tattoos and piercings do not keep worthy members out of the temple. Teacher: 1) an office in the Aaronic priesthood which is given to men and boys at least fourteen years of age. They are responsible for preparation of the Sacrament, ushering, and serving as home teachers with a Melchizedek priesthood holder as a companion. 2) An instructor in a church class. 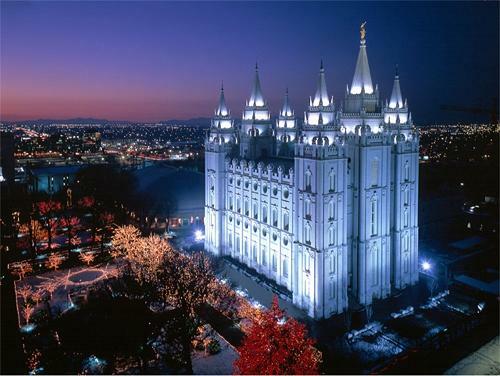 Temple: The literal house of the Lord. 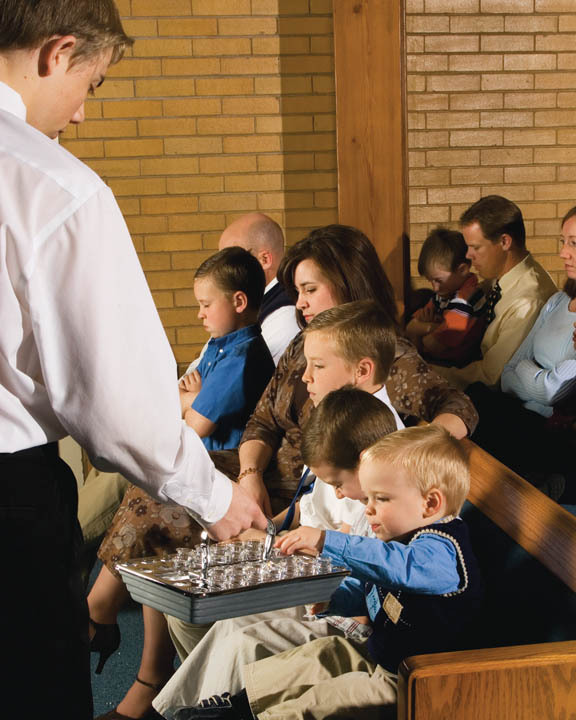 Those who have been members of the Church for at least one year and have attained a high degree of obedience to the covenants they have made thus far may enter into the temple to make higher covenants. The temple also allows families to be joined together for eternity and for spiritual work to be done by proxy for ancestors. Temple Recommend: Prior to entering the temple, members must be interviewed by a bishop (similar to a pastor) or his one of his counselors, and by a stake president (who oversees a geographical collection of congregations) or one of his counselors. Members are asked in these interviews to evaluate their level of worthiness to enter the temple. Upon successful completion of the interview, they are given a card which identifies them as worthy to enter the temple. Members must present this upon entry to the temple. Temple Square: A large area housing the Salt Lake City Utah temple, the Tabernacle, and a visitor’s center. Known for its elegant gardens, as well. Visitors may receive free tours of the grounds and some buildings. Temple Trip: A group of church members, such as the youth group in a congregation, travel to the temple together to serve and worship. Temple Work: Generally used to refer to proxy work done for the dead in the temple. Terrestrial Kingdom: The second kingdom of glory to which people may be assigned after death. Those who attain this kingdom will receive visitation from Christ, but will not live with God. The people here will be good people, both those who were members of the Church and those who were not. Although essentially good, they were not valiant in keeping covenants made on earth. It will also house those who rejected an opportunity to receive the gospel on earth, although they accepted it after death. Testimony: A knowledge of the gospel given through the witness of the Holy Ghost. Includes a testimony that God is our loving Father, Jesus is the Christ and atoned for our sins, Joseph Smith was a prophet, and The Church of Jesus Christ of Latter-day Saints is the restored gospel. It also includes a testimony of the current living prophet and may also include special faith in other aspects of the gospel. Testimony Meeting: A special sacrament meeting, usually held on “Fast Sunday,” the first Sunday of the month. No preplanned talks are given, but members stand and bear (or express) their testimonies to the congregation. Any meeting comprised of the bearing of testimonies. Three Degrees of Glory: Refers to the three levels of Heaven, to which most people will be assigned upon their death. Those who are not worthy of any kingdom, such as those who deny Christ after a sure witness, will be assigned to Outer Darkness. The three degrees, known as the Celestial Kingdom, the Terrestrial Kingdom, and the Telestial Kingdom, will all be places of happiness, but only in the Celestial Kingdom can we live with God. Three Nephites: Three of Christ’s apostles in the New World requested to live on and minister to the children of men until Christ comes again. Christ granted their petition (3 Nephi 28:7). Three Witnesses: Refers to David Whitmer, Oliver Cowdery, and Martin Harris, who were permitted to see the plates on which were written the Book of Mormon. They all left the Church in time, but never denied what they had seen. Cowdery and Harris later rejoined the church. Tithing: Payment of ten percent of our increase to the Church to further God’s work. Pays for buildings, supplies, and programs. Clergy is not paid. Tithing Settlement: Mormons meet with their bishop (pastor) in December to review tithing records and declare whether or not they’ve paid a full tithe throughout the year. Tongues: Two of the gifts of the Spirit are the gift of tongues and the gift of interpretation of tongues. These gifts have been present among the “saints” or followers of Christ in every age (Doctrine and Covenants 109:36). The gift of tongues is manifest on a consistent basis in the Church, especially among missionaries teaching in foreign lands. It is for the edification of the Saints, and therefore the gift should always increase understanding. Speaking in gibberish which no one understands is an adulteration of the gift, even if the speaker claims to be under the influence of the Spirit. Translated Beings: Those who are taken into heavenly realms without tasting death. Enoch and his people were translated when they became too righteous to dwell on earth. It appears (in reading Moses 7, 8 in the Pearl of Great Price) that many others were translated before the flood. Others among the people of Melchizedek after the flood were translated. Moses and Elijah were translated also. Trek: A popular experience in which teenagers re-enact the Mormon pioneer journey across the plains in the 1800s. They wear pioneer clothing and leave behind modern items. They must pull handcarts containing their supplies and cook outdoors. Trek West, the: Refers to the actual pioneer journey in the 1800s to Utah, in order to escape religious persecution. Triple Combination: Three of the official Mormon scriptures in one book: Bible, Book of Mormon, Pearl of Great Price. The fourth book, Doctrine and Covenants, was often contained in its own book. Today, these are largely replaced by “quads,” containing all four books. United Order: A legal and social construct established in order to live the law of consecration. Under the construct, members in a locality give all their property to the bishop, and the bishop gives back to them what they need (the member decides what his needs are). The extra is used to support the poor. Something similar was practiced among the followers of Jesus, for the Bible states that there were no poor among them. This was also practiced among the followers of Christ in the Book of Mormon, after Christ visited and established His Church among them. There was peace for 200 years, and there were no poor. Urim and Thummim: An ancient instrument containing two stones set in a bow. They were used anciently for translation purposes, and were also used by Joseph Smith to translate the Book of Mormon. For a person to use the urim and thummin (“lights and perfections”), he must be a seer. Virgin Birth: Mormon doctrine upholds the fact of the virgin birth of Jesus Christ. The Book of Mormon states that Mary was carried away in the Spirit, just as the Bible states (1 Nephi 11: 13-21). Vision: A spiritual manifestation from God. May occur in a dream or while awake. When Joseph Smith saw God and Jesus at age fourteen, it was through a vision. Visiting Teaching: Mormon women are assigned several other women to visit at least monthly. They visit in pairs, deliver a spiritual message, and seek ways to serve the women they visit. 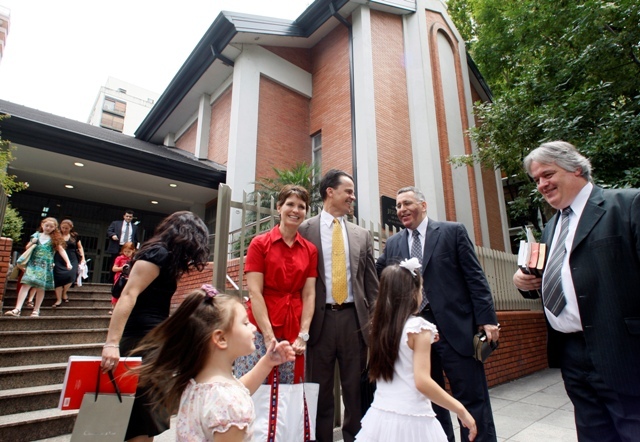 It is through visiting teaching that the Relief Society President can supervise the needs of the families of the ward.